Welcome to the FSI 2015 blog! 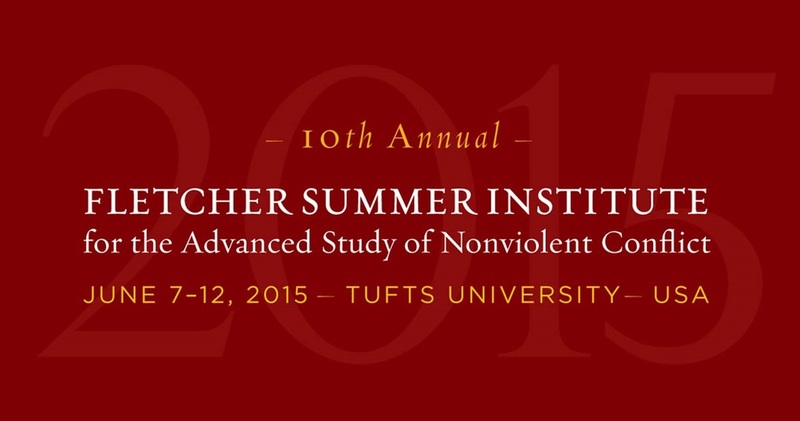 The Fletcher Summer Institute for the Advanced Study of Nonviolent Conflict (FSI) is a unique program that brings together educators, organizers, journalists, scholars and veterans of social and political movements from around the world to learn about civil resistance and share experiences from their respective struggles or work in the field. Since its first edition in 2006, over 350 participants from over 90 countries have attended the Institute. FSI is a place and time of intense learning, discussion, creativity and networking, but also a place of inspiration where new friendships have flourished, and the world has been rethought many times over! This year, for those who cannot be in the room with us, ICNC is happy to invite you to follow the Institute via this blog. During the course of the week, we will be posting daily updates from the Institute, and share with you highlights from the presentations, discussions and events. You can also follow some of the sessions and join the debate via Twitter #fsi2015 or check out posts on our Facebook page! Full videos of the presentations will also be made available (Coming soon). We look forward to welcoming the Class of 2015!